With the recent announcement by Vladimir Putin that Russia is beginning a withdrawal of specific military personnel and equipment from Syria on Tuesday, March 15, the Western corporate media has been on fire with speculation that Russia is evacuating the country, retreating, and giving up on its military objectives. Indeed, the Western press is presenting the Russian announcement as a total withdrawal and a quick move out the exit door. Thus, it should be understood that the Russian “withdrawal” is not a retreat, but simply a scale down of specific forces and readjustment of strategy. It should also be pointed out that Russian objectives were never to seize and hold Syrian territory as an occupying force. That was the plan of the Americans. 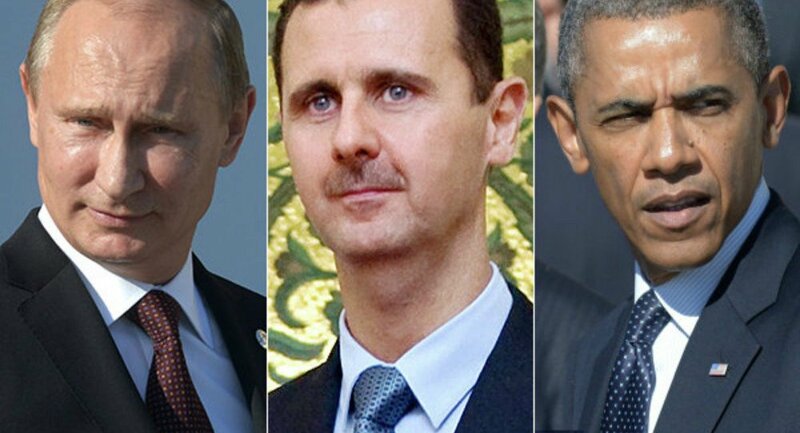 Russian objectives were to disrupt and defeat ISIS and shore up the Assad government. Russia has done that and is continuing to do it. So why would Putin announce a partial “withdrawal,” especially since we can presume that he would be well aware of the way in which he would be represented in the Western press? Why would Putin feel the need to make the announcement public at all? Why not simply make the directive, allow it to be carried out, and maintain the public perception that Russia is still fully involved in Syria? Most likely, the Russian announcement was more politically based than anything else. 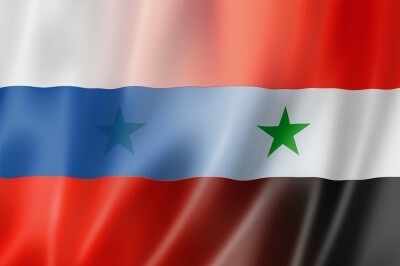 For instance, one aspect of the announcement, particularly since it coincides with the new “ceasefire” agreement and the United Nations “peace talks,” is that it allows Russia to appear as the most rational actor in the fight and the side most committed to actual peace in Syria. This has been Russia’s methodology since the beginning of its involvement in the crisis where the United States – when forced to go toe to toe with Russia politically – has ended up with egg on its face every time. Remember, when the U.S. wanted to invade Syria under the pretext of chemical weapons usage, the Russians swooped in and negotiated a deal to remove Syria’s chemical weapons stockpile. Many had valid arguments against the disarmament, but, politically speaking, Russia came away looking diplomatic and peaceful while the West, especially the U.S., came away looking like the bloodthirsty warmonger that it is. On numerous occasions, when the U.S. was screaming at the top of its lungs that peace could only come from “rebel” victory or the removal of Assad, the Russians came in and organized “peace talks” of their own. These talks ultimately failed but the result portrayed the Russians as the side leaning toward peace and diplomacy while the U.S. was bent on bloody warfare. Russia has been incredibly shrewd and effective on the political front as well as the military front, and the recent announcement seems to be one more aspect of that strategy. The second aspect is that, domestically, Russia is now able to tout a “mission accomplished” moment, a sort of victorious military triumph, without actually landing on an aircraft carrier and declaring the mission officially over while troops are engaged in a bloodbath on the ground. Putin is able to have his cake and eat it too by pointing out that some military objectives have been achieved but still not claiming the mission is over and leaving Assad to the wolves. It is both an international stance toward peace and a domestic stance toward victory even if for no other reason than public relations. So with the ceasefire agreement barely holding on, the “peace talks” taking place at the United Nations, and the threat of a Turkish/GCC invasion of Syria looming in the background, the question now is whether or not the situation will gradually trend toward peace and de-escalation or whether it will in fact escalate to a wider war between the opposing forces in Syria as well as other interested international actors. After all, Staffan de Mistura, the UN Special Envoy for the Syria crisis, has already described the talks as essentially the only thing holding back an even wider full-scale war in Syria. While he made no effort to clarify what he meant by comment, the world outside of the Western countries are generally aware of the American agenda in Syria. Informed observers generally recognize that the NATO bloc, along with Israel and the GCC, are not content to simply admit they have been routed, pick up their ball, and go home. They continue to adapt their own methods in much the same way as the Russians and will respond as soon as they have surveyed the chessboard and have selected their next move. An adjustment of strategy can take many forms but the most concerning is the possible NATO commitment to some type of gamble where it is believed or assumed that the Russians will indeed retreat instead of fight back in the event of a direct military invasion by the regional players and/or the United States. If such a catastrophic military move ever happens, it will be one that affects every human being on the planet as it would pit two nuclear powers in conflict with one another. Regardless, the manner in which the Russian announcement has been portrayed in the corporate Western press has served only to stir up a number of panicked responses from confused onlookers while, at the same time, providing a complete mystification of the true situation on the ground. Thus, it will become even more confusing to any casual observer attempting to gain any accurate representation of the Syrian crisis. Unfortunately, what makes a leader look weak in the eyes of many Americans may very well make him look honorable in the eyes of the rest of the world, particularly those parts of it continuing to suffer under American imperialism, war, and destabilization.